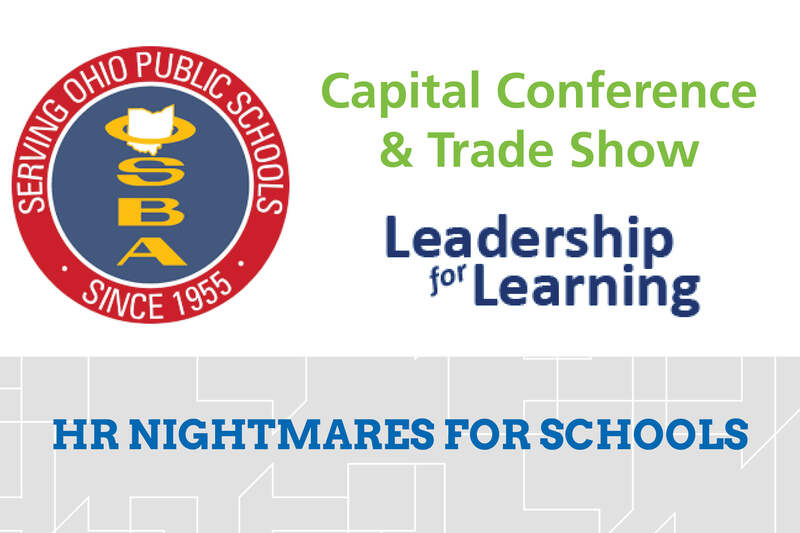 Join Graydon’s Lee Geiger as he presents at the 2018 Ohio School Boards Association Capital Conference and Trade Show. #MeToo? Family and Medical Leave Act? Interviews? Background checks? Teacher discipline? Ugh! Discover the human resources topics that keep administrators up at night and learn how schools are unique from other employers. Work through real-life scenarios schools face each day in this practical and fun session.